Julius Cäsar II is a name of vessel Lagoon 450 ,which has been built in 2013. 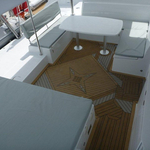 You can charter this yacht from marina Sibenik in region close to Sibenik. Julius Cäsar II is equipped with 12 berths. 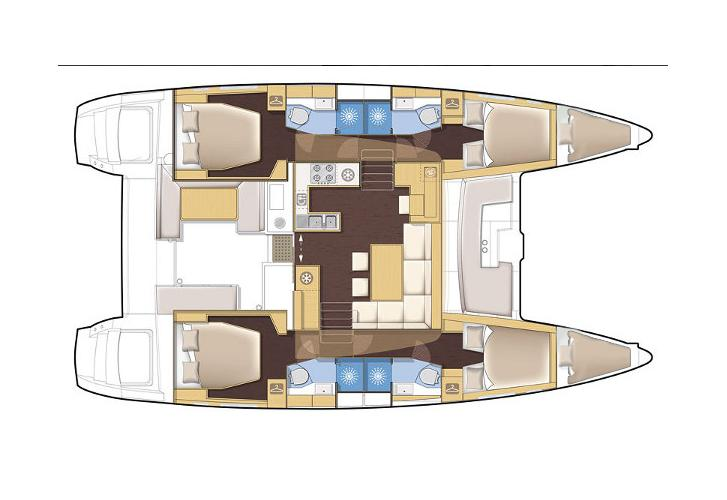 Berths on the vessel are configured in 12 (8+2+2) layout. 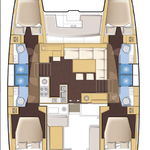 6 bedrooms are situated inside the yacht Julius Cäsar II. 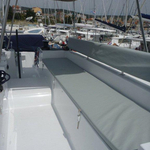 Browse for more vessels by navigating to the section Catamarans Sibenik. 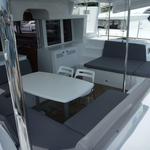 Crew members can feel satisfied on this vessel , because there are 4 bathrooms for their disposal. Julius Cäsar II is powered by motor 54. 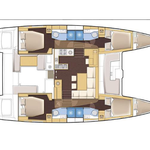 Vessel's dimensions are: lenght overall - 13.96 meters , width - 7.84 meters and 1.4 meters of depth. 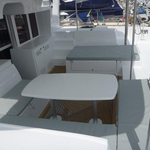 On the sailing boat you will find following equipment: Plotter gps in cockpit, Autopilot, Gps plotter, Anchor electric windlass, Dinghy, Electric winches, Bimini top, Inverter 12v-220v, Solar panels, Mainsail with lazy jack, Heating, Bed linen, Radio / cd player, TV, Wc pump electrical. . Security caution accounts for 1800.00 EUR. 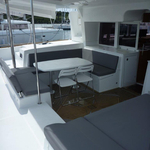 In our search machine you can effortlessly check avalailability of boat Julius Cäsar II from Sibenik by opening this link: Catamarans Croatia.